Matt Kerrigan is from Ireland but has been living in New York for 15 years. He is undocumented. Without a visa, he is unable to travel home to see his sick father, until one day when opportunity arises. Matt is a member of the New York gaelic football team. Every year they are invited to play in the Irish National Championships. Because most of the team is undocumented the first round game always takes place in New York. An opposing team travels from Ireland. New York has never won one of these games, until now. Despite pressure from the Irish government and the INS, the undocumented members of the team decide to commandeer a boat, risk everything, and travel home to Ireland for the second round — the game of their lives. Unknown to the rest of the team, Matt has another plan. With a window of only one day to get in and out of Ireland, Matt must decide whether to forgo the game to see his father one last time. The Hidden Wake speaks of the quiet, deeply unemotional, yet bull-strong bond that exists between an Irish father and his son. No less a love story, it heralds feelings unspoken and ties that are undiminished by distance. It is also the tale of a group of young Irish men who choose to live away, who love their lives in the U.S., but who still miss home every day. 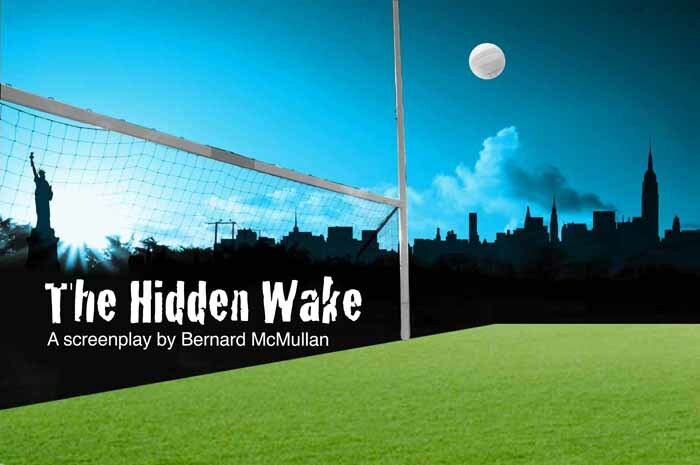 A glorious and irreverent journey through the soul of America's forgotten Irish, The Hidden Wake presents the ultimate dilemma: the life they have or the one they left behind.